Bamberg - A weekend trip to the Upper Franconian capitol of beer. We have visited one or the other European city. Also, one or the other that is underestimated. 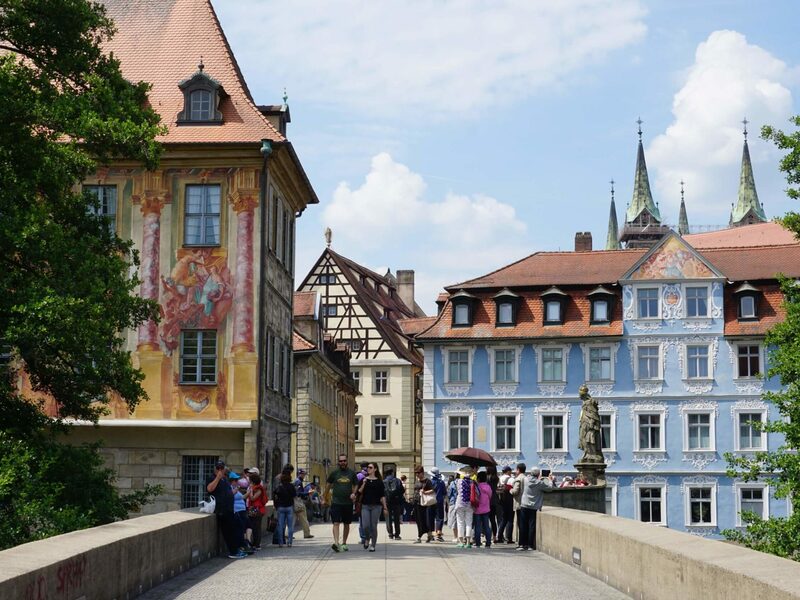 After Prague, Budapest and Bratislava our next trip lead us to beautiful Bamberg in Upper Franconia (not Bavaria of course). 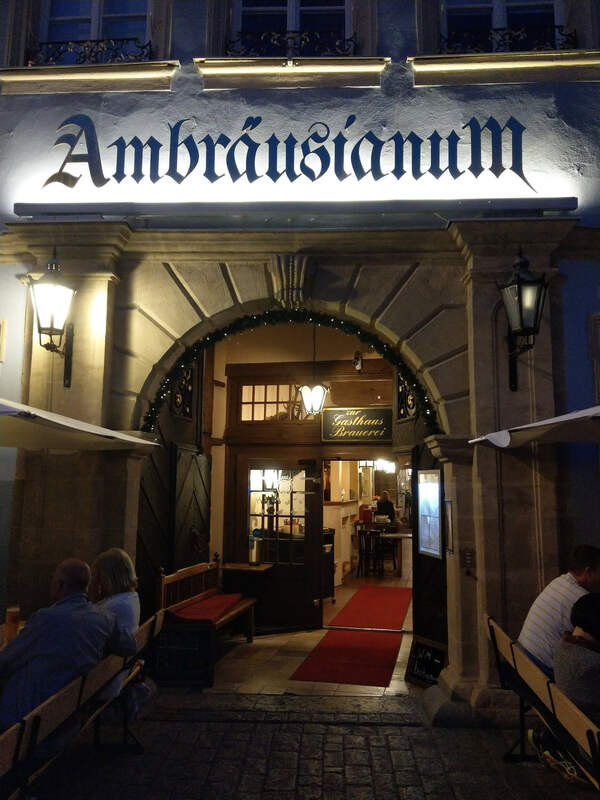 Those of you who are familiar with the German comedy Resturlaub by Gregor Schnitzler, after a book by Tommy Jaud, should have heard about Bamberg. However, we did not know more about this 80.000 inhabitant town ourselves. That changed after a weekend at the end of June 2018 though. We started immediately after work on a Friday, just in time to hit the first traffic jam right away. Our prevention tactic was hessian beer until we reached Bamberg late in the evening. The beautiful Altstadt Hotel Molitor was our accommodation. As the name might already give it away, the hotel was centrally located and therefor in the middle of town. Parking was not a problem as well. Just a stone’s throw away from the hotel we parked the car in the City-Altstadt Tiefgarage (underground parking). The hotel room was spacious and arranged like a duplex apartment on two levels. We did not plan on spending much time in the hotel but we were glad to hit the bulls-eye concerning the hotel. On top, the breakfast was delicious as well. After moving into the room and the usual discussion who is going to sleep where we decided to eat something at the Ambräusianum and have our first beer. 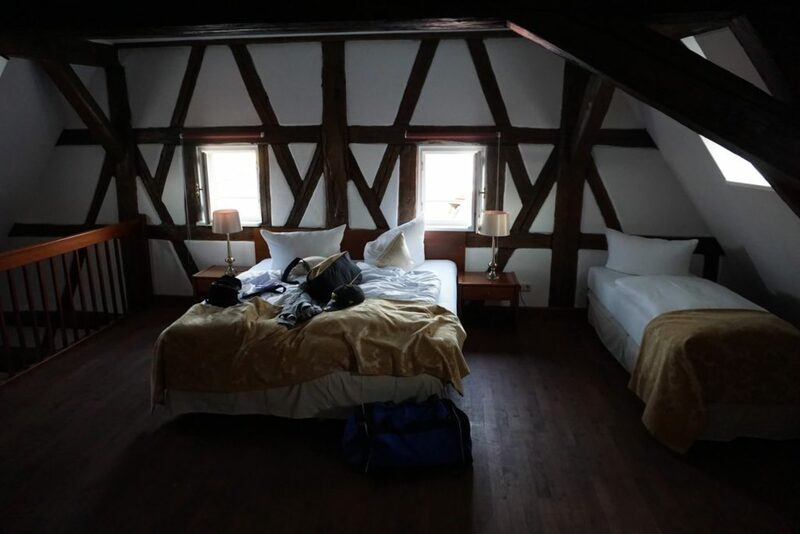 The brewery was only a few steps away from the hotel but on this short way we already got to soake in Bamberg’s special flair consisting out of its medieval structure and relaxed lifestyle. A nice balance between tradition and modern age. Maybe it fits so well in Bamberg because the traditional part is mostly the beer brewing tradition that, on the other side, attracts so many young people who are really into that at the moment. But that is just a guess. 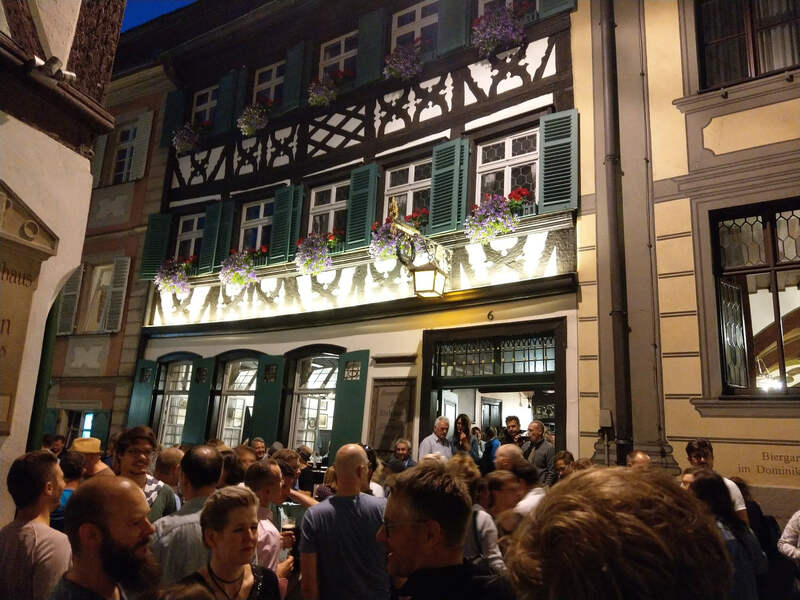 The hearty food and tasty beer disappeared quickly and we started our evening in Bamberg’s streets moving towards our “Bamberg Baptism”. We stopped infront of the Schlenkerla, the historic brewery for smoke beer (german: “Rauchbier”) in Bamberg, and sampled our first, and also last, smoke beer. Not everyone in the group managed to finish the glass. But please have mercy on us for not rendering homage to this sainthood of Bamberg. 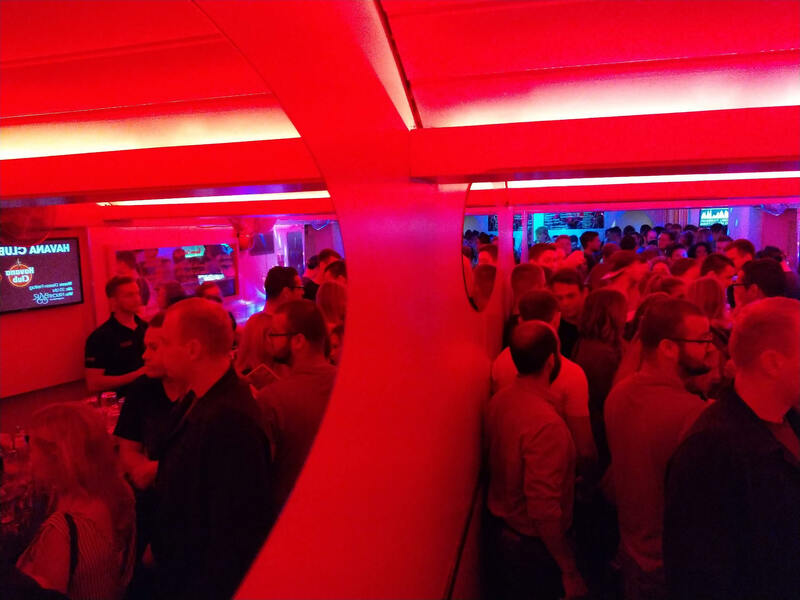 After this experience we moved on through the crowds and stopped at one or the other bars along our way from the Obere Sandstraße to the Untere Sandstraße. One stop was at the Soda Bar for one or two Cuba Libre (we had to get rid of a certain taste) and enjoyed nightlife at the FruchtBar. The walking distances in Bamberg are manageable and concerning the nightlife the nitty-gritty (for visitors) is located along Sandstraße. You do not get lost and have a nice selection of drinking opportunities around there. The next morning started out with a good breakfast before we were headed towards a little boat ride. Departure was at Am Kranen with Personenschifffahrt Kropf. 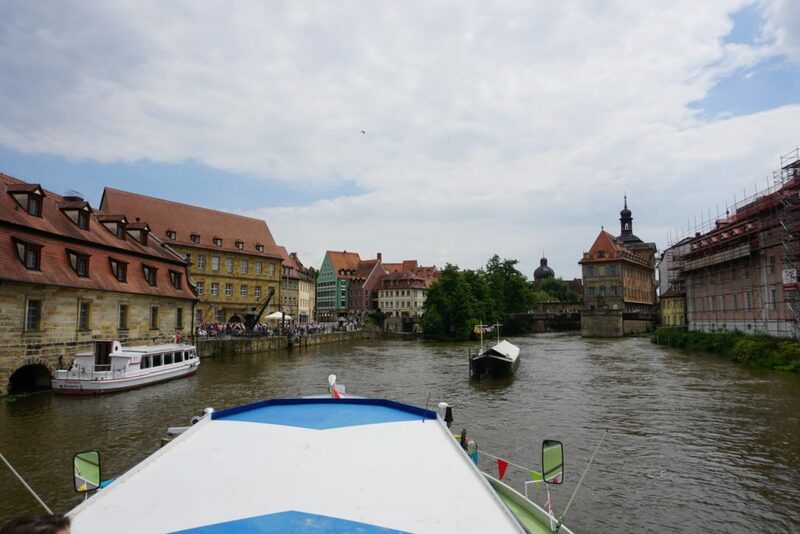 This 80-minute tour on the Regnitz went from the old town to the inland harbor just north of Bamberg and cost 12 € per person. In order to sober up and relax a little it was exactly the right thing for us that morning. However, as a visitor, do not expect too much of the tour. You will see a lot of industry along the riverbank, get to experience two water locks and you will catch a glimpse of Little Venice from the water perspective. With the emphasis on “Little”, not “Venice”. It was an entertaining tour for little money though. 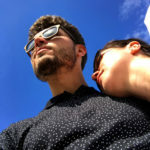 Those of you who are looking for a little more romance can also go on a gondola ride. For us, four guys, that would have not been the right thing though. After the boat ride we strolled through the beautiful alleys of the old town of Bamberg. 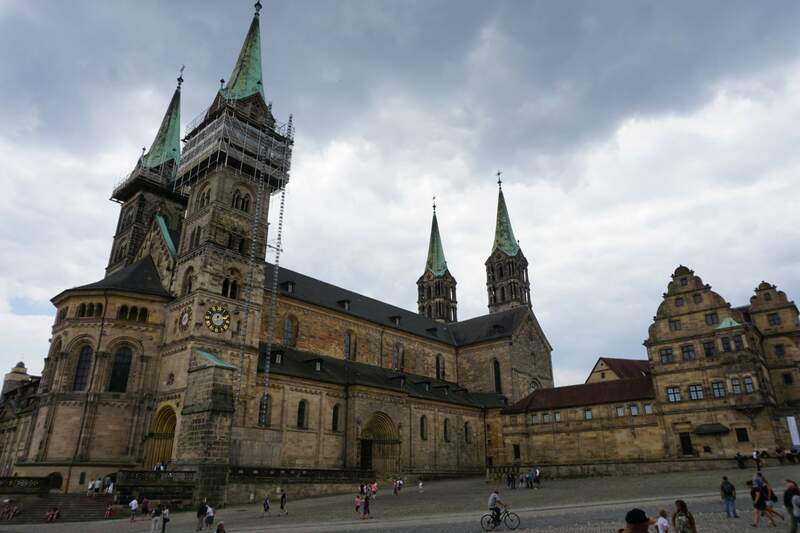 The walk lead us up on the Cathdral Hill, to the Cathedral square and finally to the Bamberg Cathedral. For lunch we chose the restaurant Scheiners am Dom – a recommendable restaurant serving traditional German dishes and palatable beer for fair prices. While enjoying lunch we could overlook the vivid hustle and bustle on the streets. Afterwards we crossed the Obere Brücke, walked past the Old City Hall and proceeded through the beautiful Old Town. 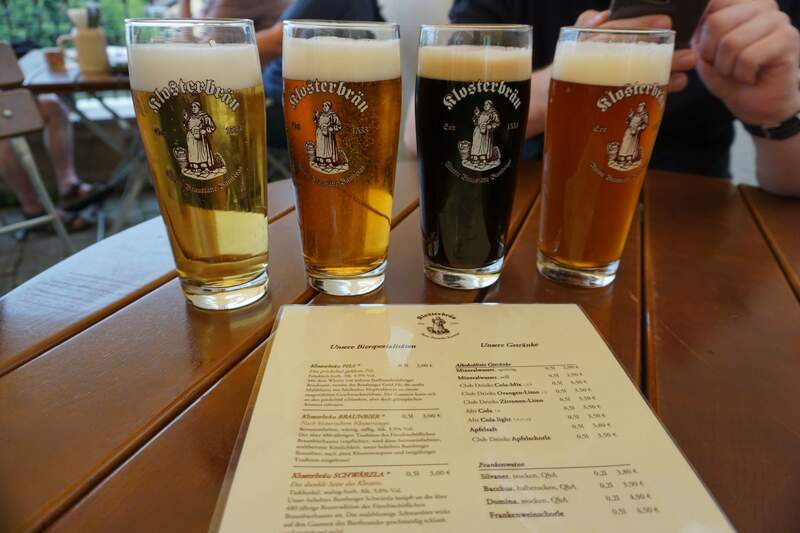 For the evening we pre-booked a private brewery tour in Bamberg’s oldest brewing site – the Klosterbräu. The guided tour was entertaining and gave us an insight in all rooms of the rustical brewery-restaurant. Some historic facts and information about the brewing process were presented. It was a really nice tour especially in a small group like ours. Right after the tour we sampled all the beer specialties of the house (Pils, Braunbier, Schwärzla and Kellerbier) and enjoyed dinner in the beer garden of the Klosterbräu. A little worn out by the previous night we decided to take it slow and went to the Plattenladen for a beer or two. This bar also had a wide selection of cocktails. 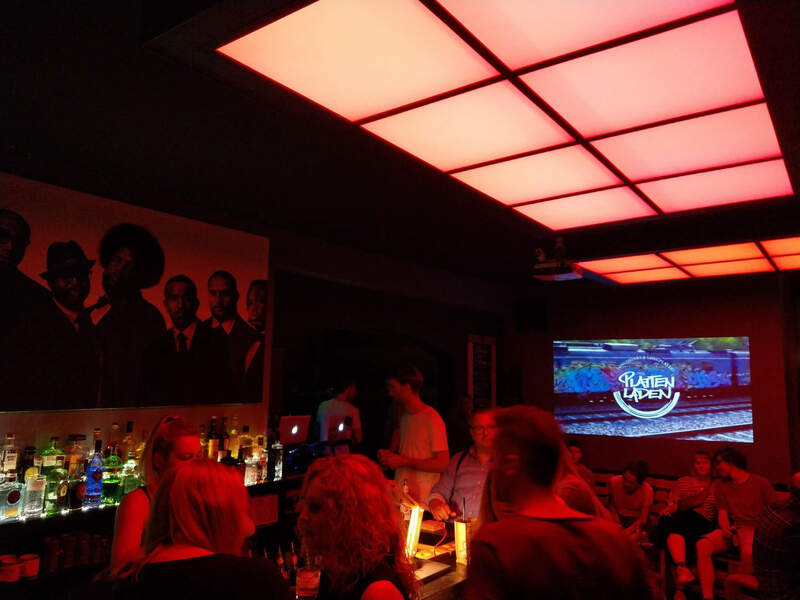 The motto of the bar “Longdrinks & Longplayer” gives you an idea about this place. Before heading home the next day we stopped by Altenburg castle. 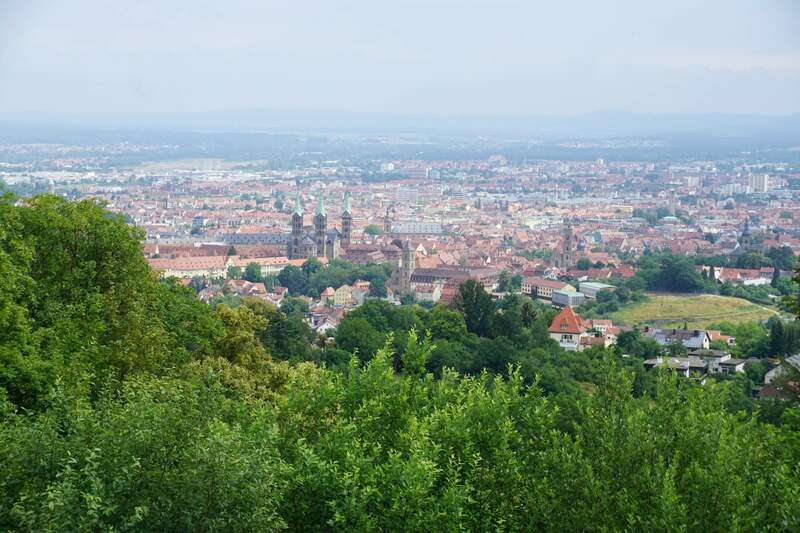 This town’s landmark is located on top of a hill with a beautiful panoramic view. Up on top we enjoyed the view on Bamberg and the surrounding area. After that we were on our way home and happy with all the new impressions we made in Bavaria… I mean Upper Franconia.